It started with Scotty's heart aching for people without clean water. Scotty said "One thing I know is I want people to have what I have...Clean Water and Jesus!" His vision was to ride his bike across South Carolina while raising money and awareness for Water Missions International! The 5-day ride started on Scotty's 10th birthday, and friends and family rode and supported him along the way. 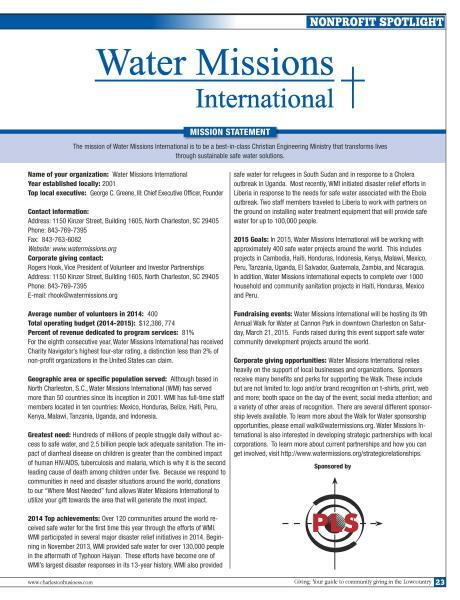 Scotty's Ride for Water has raised over $70,000 for Water Missions International.